Canadians will soon be able to lodge complaints with an independent watchdog if they feel they were mistreated by a border officer. 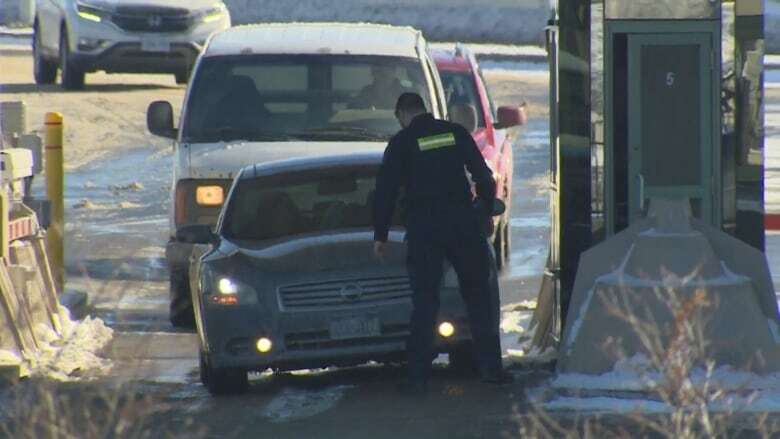 Tucked away in the Liberals' 2019 budget, tabled Tuesday, was an announcement that Ottawa will assign an independent review agency to the Canada Border Services Agency (CBSA). Critics have for years questioned the effectiveness of that arrangement. Last month a CBC News investigation showed the CBSA investigated 1,200 allegations against its own staff over a two and a half year period from January 2016 to the middle of 2018. Records released by the CBSA didn't show which allegations were found to be credible or what actions it took to address specific problems. "I'm just very pleased that this measure is going forward and we will be able, in the next number of weeks of this parliamentary session, fill a hole in the architecture that I've wanted to fill," he said in an interview. In order to expand the CRCC's mandate the government will have to amend the Canada Border Services Agency Act and the Royal Canadian Mounted Police Act — something Goodale said he's confident he can push through before the House rises ahead of the fall election. "Yes, there have been issues in the past and we will address those issues as we renovate that organization and add on the additional responsibilities," he said. The commission "expects to learn more about the government's intentions in the coming weeks and months," said spokesperson Anna Van Dusen. Craig Forcese, a law professor at the University of Ottawa called it "the right decision." Former Privy Council clerk Mel Cappe, who was asked by the government to look into the issue of CBSA oversight, said the announcement "is filling the gap." The CRCC would investigate public complaints, but those involving national security would ultimately fall to the National Security and Intelligence Review Agency (NSIRA), a new body which will be created if Bill C-59, the government's national security oversight bill, passes. The chairperson of the CRCC also has the power to initiate reviews if they feel it's in the public interest. "We would not limit the agency, if they think something needs to be looked into, maybe they've heard a complaint or they've read media reports or they hear representations being made they'll be able to do the job to look at it," said Goodale. The budget also promised $1.18 billion over five years to bolster border security and speed up the processing of asylum claims. More than 40,000 asylum seekers have crossed into the country illegally via the Canada-U.S. border.